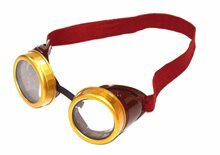 Steampunk Brown Goggles.Includes: One Pair of Steampunk Brown Goggles. Available Size: One Size Fits Most Adults and Teens. *Costume and Accessories Not Included. Sold Separately. 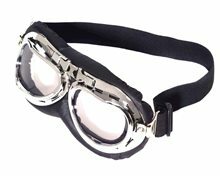 Designed for Neo-Victorian Industrial fashion and a Steampunk persona, these Brown Goggles are great for the Motorcycle Bandit, Sky Pirate or Adventurer living in a steam powered world. 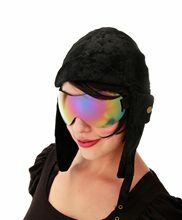 Our Steampunk Brown Goggles feature a brown plastic base, gold rims, clear lenses, nose strap and elastic brown head strap. 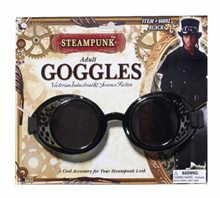 There are a variety of characters our Steampunk Brown Goggles can bring to life in your steampunk costume. It will bring an eccentric look to any Steampunk inventor or engineer costume, too! 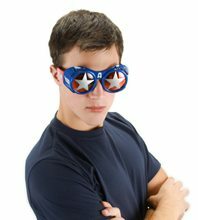 Steampunk Goggles;You'll be covered in your steam powered world full of nuclear winters, motorcycle riding bandits and a totalitarian government with our Steampunk Black Goggles. They will product your eyes from Mother Nature's intense sun and lethal dust storms. 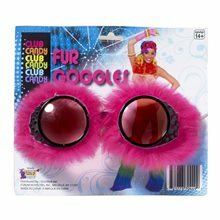 Our Steampunk Black Goggles feature a round shape with textured sides. When you mix Victorian Industrial fashion with the elements of Science Fiction, you get a world of Steampunk. 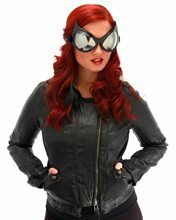 These Steampunk Black Goggles are a great accessory for the aspiring airship aviator, Steampunk sky pirate costume or for Ramona Flowers from Scott Pilgrim versus The World. One size fits most adults and older teens.